Obituary for Charles Keleman | Cremation & Funeral Service by Gary S. Silvat, Inc.
Austintown – Charles Keleman, 85, passed away Monday evening, April 8, 2019, at Austinwoods Nursing Center Inc. in Austintown. Charles was born on February 3, 1934, in Youngstown, a son of Charles and Helen (Nagy) Keleman. 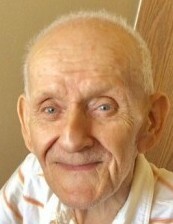 Charles was a painter and enjoyed watching his children play sports. He had a love for playing softball in his younger years. Charles’ spunky personality could always put a smile on your face. Charles will be deeply missed by his loving children, John (Lisa) Keleman, Michael (Terry) Keleman, Charles (Lisa) Keleman, Christopher (Richelle) Keleman, and Barbara (James) Dagnan; grandchildren, Megan, Michael (Kylie), Audrey, Katelyn, Gina, Carmella, Nicholas, Joanie, and Colin; his sister Donna Smith, and brother Richard Keleman. Besides his parents, Charles was preceded in death by the love of his life, Joan (Gasior) Keleman; his sisters, Frances Milick and Delores Vona. The family would like to thank the staff at Austinwoods Nursing Center Inc. in Austintown and Crossroads Hospice for their continued care and support. The family will not observe any public services.